April 21st | 9:00 A.M. - 4:00 P.M.
After painting with watercolors for the last 40 years, I think I've finally got the hang of it. I have developed a style that I can identify with and when needed, I can vary it to create several different effects. 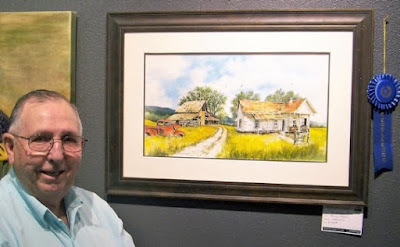 Over the last couple of years I have been able to study with several nationally known watercolor artists. With each new encounter, I've been able to adapt new techniques and improve my painting skills. In the classes that I teach, I try to cover the basics of design, composition, value, balance and harmony. Some students may already understand these principles but it never hurts to review. 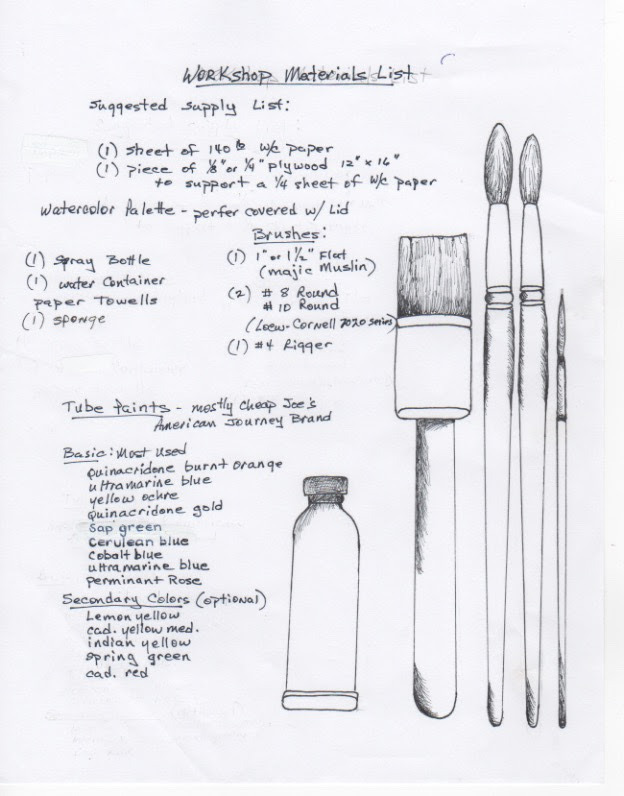 I also work on the fundamentals of watercolor such as gradation, positive/negative painting, wet on wet technique, variation of shapes and the use of oblique angles. At the end of the day, I want each student to feel that they have had a lot of fun, feel that they acquired some new skills and end up proud of a completed painting. See suggested supply list photo. If you have any questions, please call me at 432-349-5733.